Larry Lowman, guest speaker, shares his knowledge with Donna Hanke during a field trip to the Crowley’s Ridge Nature Center. 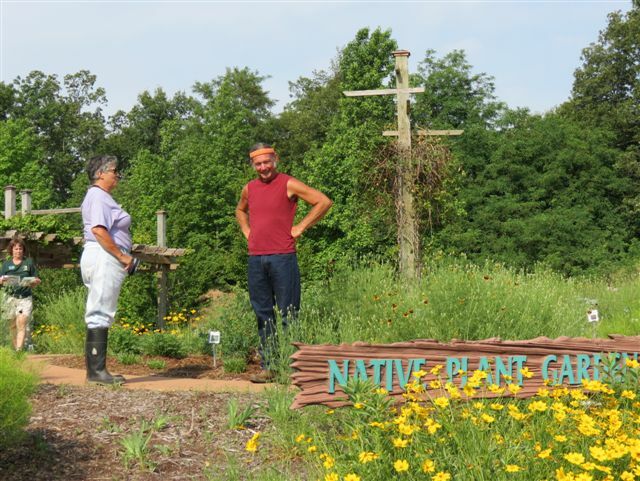 Betty Nichols, in background, maintains the Native Plant Garden as a Master Gardener. 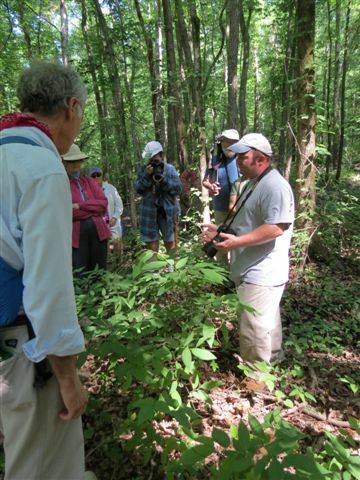 Members on a Sunday field were introduced to the federally listed (Endangered) Lindera melissifolia (pondberry) by Brent Baker. A close relative is Lindera benzoin (spicebush). This entry was posted in Chapter Meetings and tagged Crowley's Ridge Nature Center, Crowley's Ridge State Park. Bookmark the permalink.